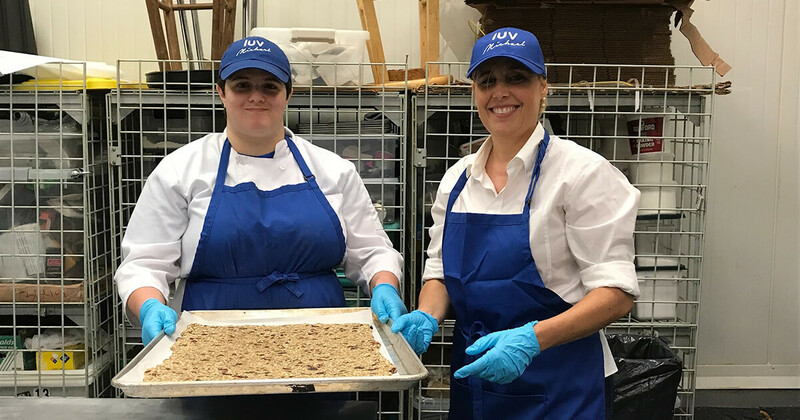 LUV MICHAEL to POPSUGAR: "We Had to Think Outside the Box"
Luv Michael, which is based in Long Island City, is a food-based company that produces homemade, organic granola. In addition to Michael, the company employs other young adults with autism, offering them culinary, sales, customer service, and life skills training. Their team, whom they’ve dubbed “granologists,” produces 120 pounds of granola each week for local grocery stores and food chains like Fresh&co and also for major companies like Starbucks and JetBlue. And they’re just getting started.